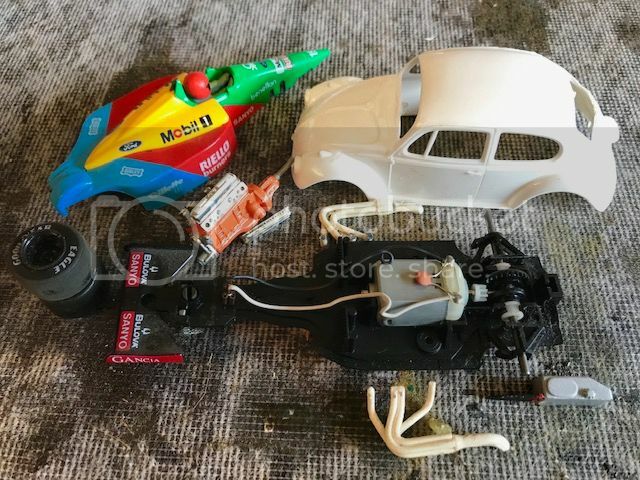 I started with this lot from the parts bin. 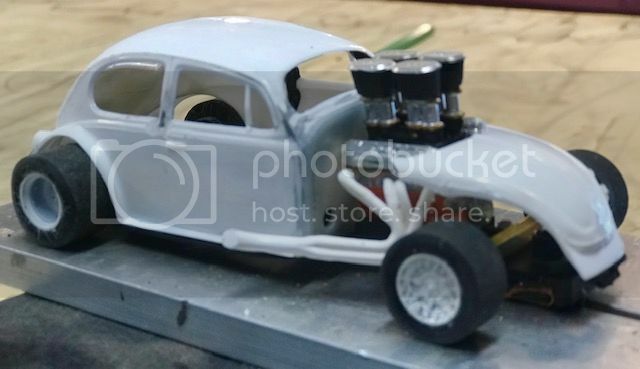 I chopped the roof on the Beetle and cut off the bonnet as well. 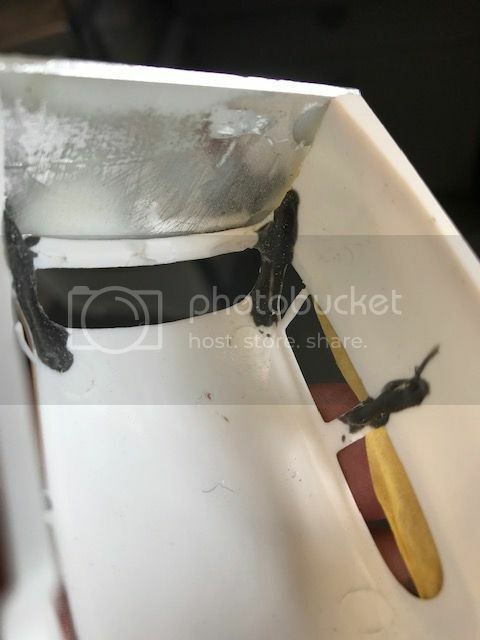 I used JB weld and cut down paper clips to secure and strengthen the lowered roof line and then glued in a new firewall. A couple of hours later and I ended up ready for a test fit. Still lots to go but this was the basic look I was after. 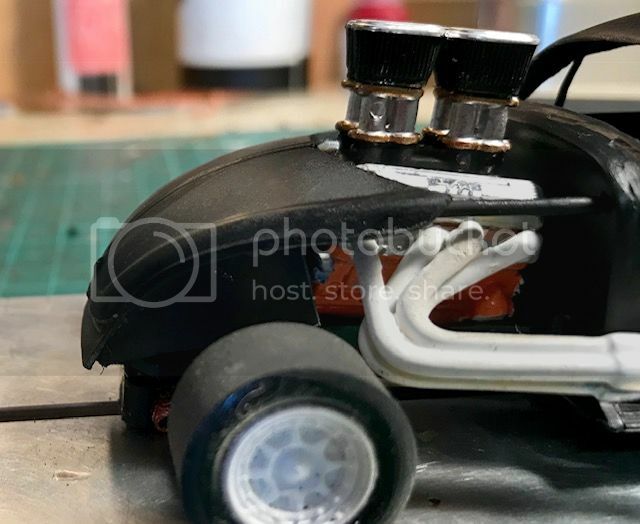 I want this car to be a sweet runner and the main challenge looks to be separating the chassis from the body parts and motor to get some body float. At this early stage I am thinking the motor and bonnet may need to be secured to the chassis. Time will tell. Podiums are for short people. 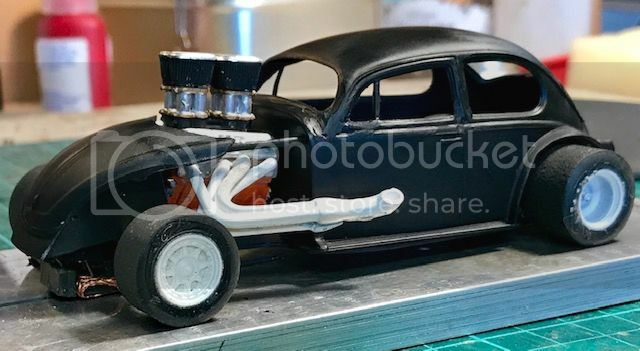 I decided to connect the front bonnet to the body with piano wire struts. These will probably be chromed at some point. The motor will be glued onto the chassis and the body/ bonnet will float around it. Running gear is all stock Scaley with Ultragrips on the back. It's always interesting how a shot of primer (a) gives the build a more cohesive look and ( shows every flaw in my roof chop. Lots more work to go. very cool - you are taking over from Ruud Kleinpaste the title of "Bugman"
They are only toys ....	until you pull the trigger. Nice work on the Bug Mac. better now than when you've applied the final coat.